Dissent in Russia: a festival of disobedience? 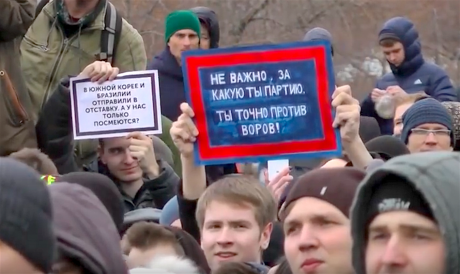 "It doesn’t matter what party you’re for – you’re certainly against thieves!” reads this placard at a protest in Moscow, 26 March. Image still via Radio Svoboda / YouTube. Some rights reserved.For the last 28 years, The Levada Center has been one of Russia’s most important surveyors of public opinion, but in 2016 the Putin government, having no use for independent sociology, added it to its list of “foreign agents”. oDR editors Polina Aronson and Mikhail Kaluzhsky met the center’s director Lev Gudkov to discuss solidarity, political protest, freedom and the role of sociology in a divided country. We are publishing his interview in two parts: in this, the second part of the interview, we discuss the post-Soviet mindset and ideas of freedom: you can read the first part here. How has Russia’s economic crisis affected people’s readiness to defend their own interests? Could people finally be realising that you need to confront the authorities if you want to stand up for something? Prior to the second half of 2015, Russia was in a state of political euphoria, but when sanctions were introduced, to be followed by counter-sanctions and a collapse in oil prices, everyone realised that the crisis was serious and systemic. It hit everybody, but two groups were particularly affected: on the one hand, the poorest – residents of villages and small towns in the depressed provinces who were nostalgic for the Soviet era with its cradle-to-grave welfare; and on the other – the most prosperous inhabitants of the big cities. The latter found the value of their savings plummet and their salaries halve; those few of them who were protest-minded and saw no future for themselves in Russia began to contemplate emigration. This was a different wave of migration from previous ones: the migrants were well-off, successful, and highly educated – people who already had links abroad and experience of interaction with foreigners. This haemorrhage exacerbated the general decline in intellectual and ethical standards in the “urbanite class” that had taken part in the protest movement. And if we add the effect of government propaganda, we can say that the degradation of Russian society is not just tangible, but is rapidly increasing. Other groups – the long-distance truckers, farmers and so on, for whom protest is a means of survival – are a different matter. And not only protest, but unity and solidarity are, in the words of my colleague Aleksey Levinson, evidence of “signs of life”. When there are no others. We see people deceived on their mortgages protesting, we see people protesting against property development, we see people cheated out of their investments protesting, people protesting against hazing in the army, the “rationalisation” of hospitals and schools; a crisis in the Academy of Sciences; the problems of farmers, of housing stock and so on. But protests by these groups have a very local character, rather like peasants during the Russian Civil War: they end at the edge of the village. It’s a matter o: “just sort out our concrete problems – that’s all: we’re not anti-Putin; we’re not rebelling against the government; we’re just against “Platon” [a recently introduced electronic toll system for HGV traffic on Russian motorways – ed], Tkachev [Alexander Tkachev is Russia's Minister of Agriculture] and so on. April 2017: Striking truck drivers at Manas Circle, Dagestan. Image courtesy of Aida Mirmaksumova.So, levels of dissatisfaction and anger may be high enough in themselves, but tension is highest in those groups that are generally passive: people who don’t protest. And the key factor is an absence of any organisation or leaders who could represent the interests of this group in the public arena and make them a subject for general debate and part of the political parties’ agendas. There is no concept of the representation of different social groups — what, in short, is meant by the word “society”. How does the practical absence of mass protests fit with the planned demolition and mass rebuilding of much of Moscow’s housing stock? The housing renovation scheme is a more complex issue, because some of the residents of the slums that are slated for demolition seriously expect to get better accommodation for free out of it. It’s difficult to guess the relative numbers of those who will thank Moscow’s mayor Sergei Sobyanin for his grandiose plans and those who will categorically reject them. We should soon have the results of our own survey on the matter, then we’ll see. But I think those who are unhappy and protesting against the plans will be in the minority; the level of discontent with the scheme has been exaggerated. What’s more likely is that those who expect better housing conditions will be disappointed. There will be the same financial pyramid as there was with the Chara bank – the first people to sign up will get a real improvement in their housing; the rest will be swindled. But the very hope of new housing for free is very important. I think about a third of those who get ripped off will be furious and protest. But they will find it very difficult to stand up against the system. How the courts work is just a mockery of justice and fairness. So we think that people’s disillusionment and admission of defeat will appear very soon. The hashtag #FedUp, is that a good summary of what’s happening? Probably. By the start of 2017, the post-Crimea patriotic bubble had burst, but the dissatisfaction remained and was even growing. Furthermore, mechanisms for shifting the social discontent and blame for the situation from Putin to other people and officials lower down the power ladder were gearing up again: we have a habit of laying our negative feelings at the feet of Duma members, the Duma as a whole, governors, ministers, the courts, political parties and so on. Medvedev, in that sense, is a very convenient scapegoat. Navalny’s film, “Don’t call him Dimon”, really hit a sore spot. His earlier films – about the criminal connections of Russia’s Prosecutor General Yuri Chaika’s sons and others – created a certain furore, but nothing compared to his demolition of Medvedev. 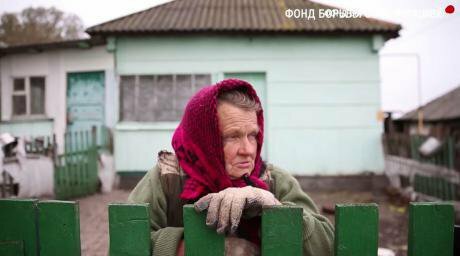 A resident of Mansurovo, the location of one of Dmitry Medvedev's country residences featured in Navalny’s Anti-Corruption Foundation film, "Don't Call Him Dimon". Source: FBK.Still, criticism of corruption or abuse of power is still not an actual political agenda. It only becomes “political” in an authoritarian regime where, with democracy suppressed, any public activity, including criticism of corruption, takes on the nature of an anti-regime declaration. Why has this agenda become so relevant to young people? This year (unlike 2011 and 2012, when we ran polls at rallies), we haven’t been able to describe protesters in sufficient detail. What I’m going to say now is more an instinct based on an analysis of data from polls in Moscow and other places, as well as my general observations. My view is that there were not many more young people than usual demonstrating on 26 March and 12 June. But given that these demos were illegal, there were fewer people of the sort who usually formed the main mass of protesters, i.e. people aged between about 45 and 55. Most of the protesters at the Sakharov and Bolotnaya rallies of 2011 and 2012 came from this age group — mature people who to some extent drew on their experience of resisting propaganda and their memory of the Soviet years, so understood the threat posed by the government. But it was clear on 12 June that the police would be beating and arresting protesters, so they stayed at home, and that’s why the younger people who did come stood out. 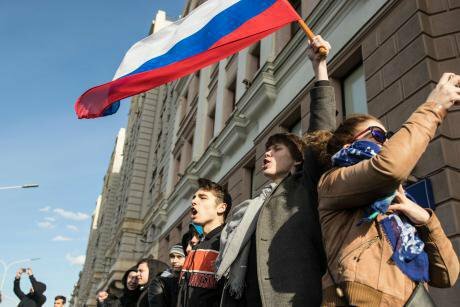 They’ve been dismissed as a “teenage rebellion”, but the protests that started in Russia on 26 March suggest the country’s youth is slipping through the state’s fingers. (c) Xinhua/SIPA USA/PA Images. All rights reserved.They weren’t just school kids, they were older – mostly 25-35 year olds, although there were high school and university students among them. Why did they come? Because the ideological pressure on the young (lessons on combating western values and liberalism, an obligatory course on the foundations of Orthodox Christian culture and so on) have provoked a backlash. They have started to “come out” – although not with political concepts: they have none. They have very vague ideas about what “needs to happen” (fair elections, governmental responsibility, etc. ); what the government should do to make things “good” – but very general suggestions that are out of tune with the status quo that they have to endure. In other words, this reaction is simply a sense of being fed up. They feel a growing irritation with the endless lies and demagogy, and it’s strongest among the children of people belonging to Russia's proto-middle class, who have listened in on family conversations or their parents’ get-togethers. So taking part in protests is more a case of counter-cultural behaviour or an aspect of a youth subculture than a political movement. I’d like to pick you up on that point. You regularly carry out research on Russians’ concept of freedom, and this is probably one of the most interesting questions asked by the Levada Center. What freedom are people, including young people, taking to the streets for? Is it still a question of “freedom from” or is the idea of “freedom for” quietly taking shape? This is just how social discontent can express itself. But the very presence of young people at the protests on 26 March and 12 June could trigger an acceleration of political socialisation. The experience of protesting; the memory of being beaten by the police because you have acquired a sense of self-respect and an aversion to all the lies that TV feeds the Russian populace – that alters your consciousness pretty quickly. 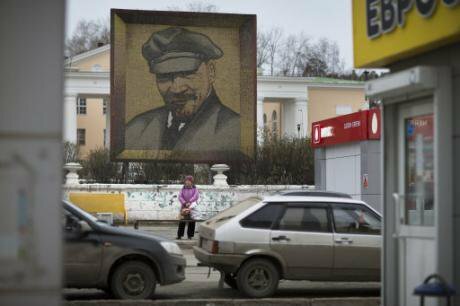 The transformation of Soviet ideology happened through the gradual disappearance of that “ideology” in Soviet life. (c) Alexander Zemlianichenko AP/Press Association Images. All rights reserved.But we must bear in mind that these young people belong to a very small social group growing up in Moscow or other large cities. Teenagers from the provinces are depressed, poor, envious young men and women for whom Putin is an exemplary specimen of machismo, a symbol of social success and prototype for a collective identity. Their sole source of information is TV: the internet barely exists as a medium for social reality – this use of it is only just beginning to develop. Far from Moscow, the internet is only used for entertainment: for chatting, downloading music and films. It has no connection with issues of social significance. Today’s young people have also grown up during the Putin years. They have no concept of what was the most significant marker of social standing in the Soviet years - shortages (limited or intermittent access to banned books, entertainments, food products and much more). Now you can have everything, as long as you can afford it. So young people are the most optimistic and happiest members of the population in terms of age group. But then again, if you look at young Muscovites, students or children in families with a high cultural level – i.e. those with better off, better educated parents – it’s a different story. In these families, the parents’ experience, discontent with the status quo, lack of prospects, hostility towards growing militarism and anti-western propaganda are easily absorbed by their children, creating potential for protest in the future. In general, however, young Russians today have a very different attitude to life from those of the 90s. They are limited in their aspirations, with a narrower perception of what’s going on in the world and so hostage to the relative stability of Putin’s “consumer society”. They are perfectly satisfied with the conceptual frame of the life they ended up with, and I can’t see any signs of them wanting to change anything fundamental. Their compensatory nationalism can build cultural barriers to provide psychological isolation and protection from today’s world, as well as removing the frustration caused by their inferiority complexes. So we lack what western literature refers to as the Self – an autonomous, reflective personality, ready to stand up for its interests? Yes. Perhaps this will appear with time – but, as far I can see, not in the near future. The children of today’s young people will be a little different. What conditions are required for the development of the Self? A particular way of life, and a different institutional setting, for a particular type of person to be born. People are always talking about how we have weak or defective institutions. But they’re not defective, they’re just different. It’s a big mistake to think of them in terms of the norms that belong with democracy and a free market economy. Post-Soviet institutions work differently. They are very stable and very effective in their way (once you take into account the functions they fulfil in a post-Soviet regime). It’s absurd, for example, to say that Russia has a defective judicial system. It’s not defective: it’s punitive or repressive - this is its function, not its weakness. Homo Post-Sovieticus, the modern Russian man or woman, has learned from their experience of repression and constant pressure to separate their private life from the collective one. That was something Yuri Levada, the founder of our center, gave much thought to. He said – I paraphrase his idea – that the main characteristic of Soviet citizens was their ability to adapt to their repressive regime. It was a constant effort at self-abasement. People adapt to a system of control and restrictions by demonstrating loyalty to their government, entering into a tacit relationship of trade-offs, cronyism and informal connections, thus forcing their rulers to make concessions and turn a blind eye to all kinds of irregularities. This isn’t a change in the system, but its slow degeneration. The existence of these trade-offs didn’t create a new kind of person, who could assert their own values, sense of dignity and potential for action. On the contrary, it forced people to be content with their lives and get along with the system – always at the price of lowering their own aspirations. So the regime, having abandoned its planned economy for market forces and removed many elements of the Soviet system, became much more flexible and stable. Homo Sovieticus, thanks to their ability to adapt, didn’t engage with politics or other forms of participation (i.e. with changing the system), and handed over the right to decide how the country was governed to other people – “reformers”, “honest politicians”. As a result, a generation later we have Putin rule, replicating many elements of the previous regime. Thanks to their adaptability, people could make some changes in their lives. My colleague Boris Dubin described this development as: “Some crouched; others stretched or stood on tiptoe”. This led, and is still leading, to the homogenisation, the sterilisation of everything new and different and of the creative elite. But it will not spawn free people. All social change requires the presence of a new kind of person, whereas all we can see now are modified Soviet people. It’s a crisis about recognising reality, and it’s serious. The protest movement exists, but it turns out to be somewhat blind – it’s more an aesthetic gesture. Maybe it’s a kind of party: a festival of disobedience, not a political organisation.